The tiny village Zulueta, the Cradle of Football (soccer) in Cuba. Cuba might be a baseball-country but in Zulueta, the people have built their own stadium with the best football-field in the country. Furthermore they have two asphalted streets and a central park with a statue: a football. The small pueblo Zulueta, in the middle of nowhere, is home to the best football team in Cuban history and really every Zulueteño breathes and sweats football. Since the Spanish immigrants brought football to the area a century ago, the Zulueteños have kept the tradition very alive and the ballgame has become their way of life. In the summer of 2010 the entire village is under the spell of the biggest feast that football has to offer. An event they await every four years and celebrate like nowhere else in Cuba... or like nowhere at all. Five main characters tell their love-story about football and their village while following the World Cup 2010 on TV. The five characters are: the serious leader of the Argentinian fans, the crazy leader of the German fans, the proud ex-goalie and leader of the Brazilian fans, the sweet old but only Spanish fan and finally, the Football-archivist of the pueblo... Five remarkable people who have dedicated their lives to football in Zulueta. This is the story of people who are extraordinary supporters of their favorite teams on the World Cup but above all dream to maintain and improve their own football. Their way of life! 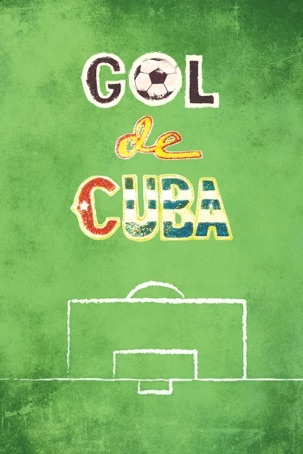 Born and raised in the Cradle of Football in Cuba, with a tradition of producing players for the Cuban national team, they all dream of seeing their boys play with Cuba on a World Cup Football.